Hungry for more? Jom makan lagi! Ride free once again with us to your favourite food spots for the next week. 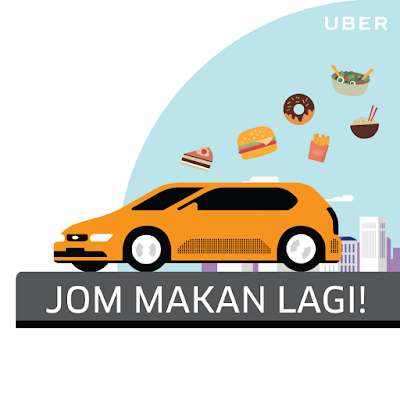 Just enter the Uber promo code JOMMAKANLAGI to get 5 free rides worth RM4 each, from 11am - 3pm this week! Here's a reason to head out during lunch! From Monday to Thursday, enjoy free rides from 11am-3pm to your favourite lunch spot. We know you love to ride for free to your favourite lunch spots. So this week, we’re bringing back free lunchtime rides just for you! From Monday – Thursday, enter the Uber promo code JOMMAKANLAGI to enjoy 5 free rides worth RM4 each, which you can use between 11am – 3pm. Start riding now! *Valid for rides in Malaysia from now till 10 August 2017. Uber promo code will be available until redemption limit is reached. Valid for rides between 11am – 3pm in Malaysia. Uber promo code is valid for the first 200,000 promo applies. You only need to apply the Uber promo code once.